For some, winter is a time of rest. The beaches are empty, and the water is cold, but we continue to work hard defending our coasts. 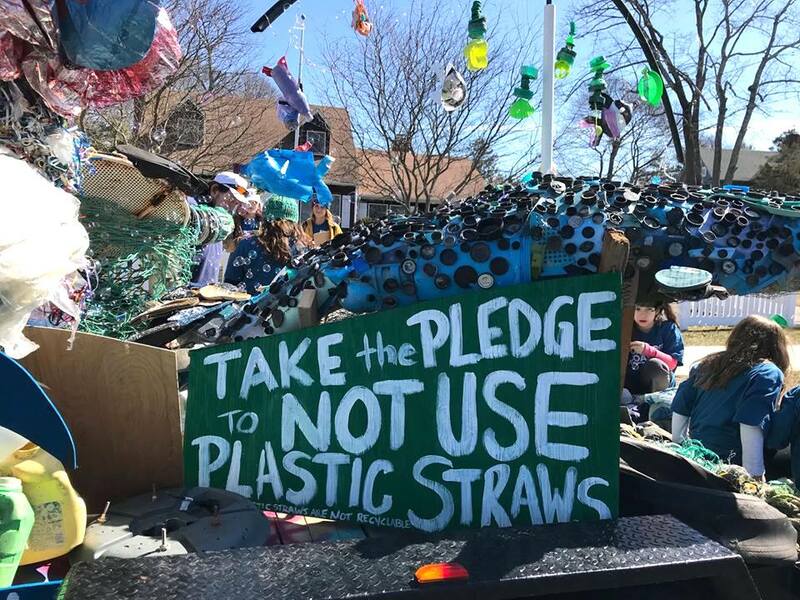 Between February and mid-March, our chapter held four beach cleanups. 147 volunteers helped remove 2700 pounds of debris from our beaches. 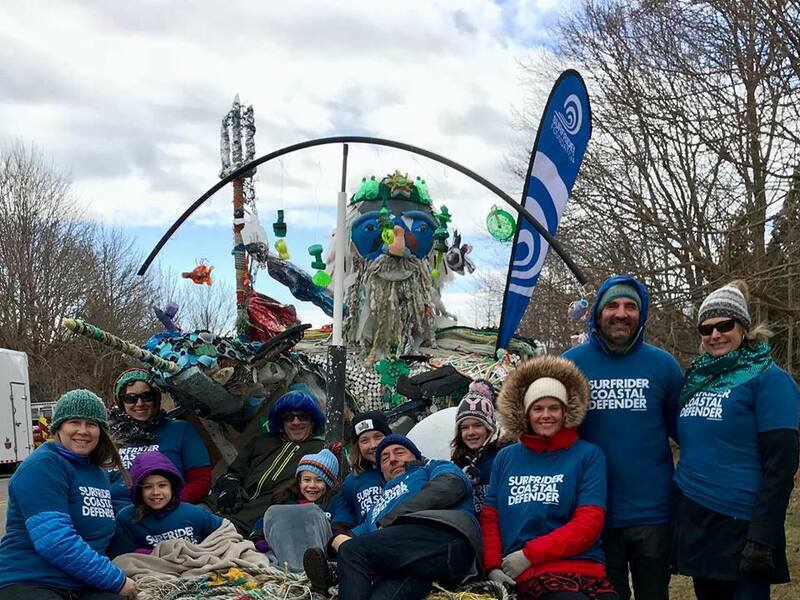 Instead of sending the debris to a landfill, we decided to take it to the streets to show our community just what, and how much much we found. 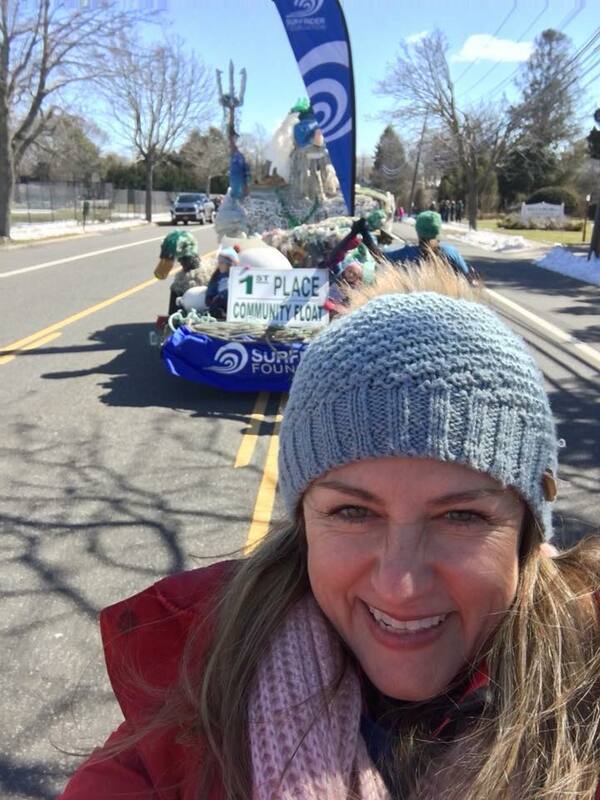 Carolyn Munaco, The Eastern Long Island Chapter’s volunteer coordinator, applied her love for the beach, her distaste for plastics, and her passion for art to the creation of a parade float featuring Neptune, his trident, a turtle, a duck, a bird nest and a narwhal! 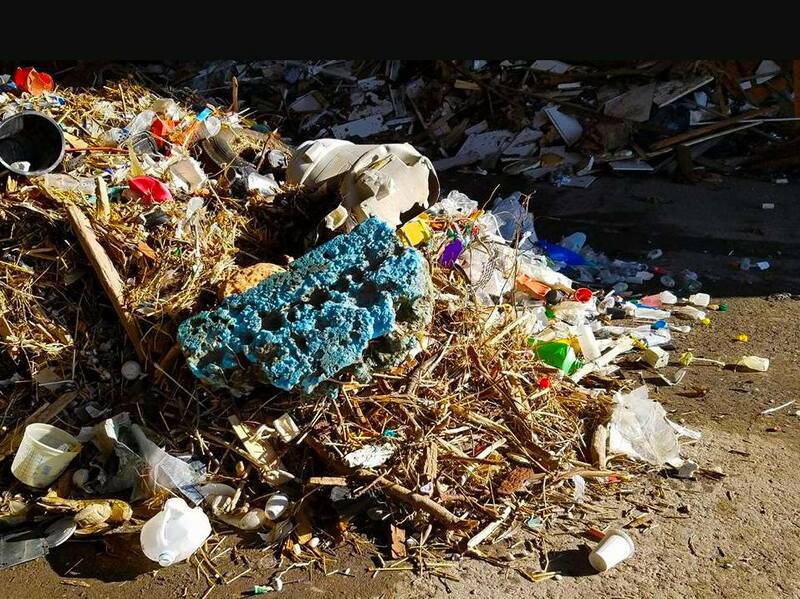 The message was loud and clear: We have a problem with plastic. 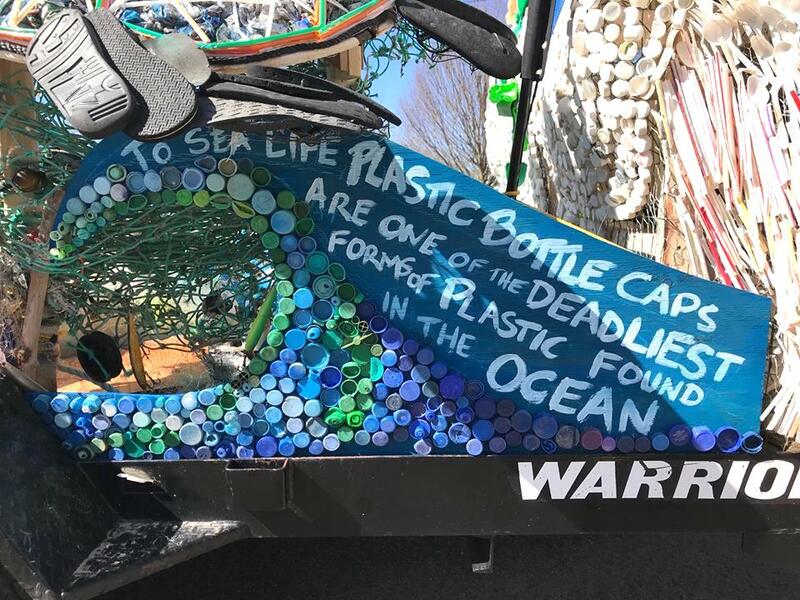 The float featured powerful quotes on the side, educating and also empowering the public to make positive changes. 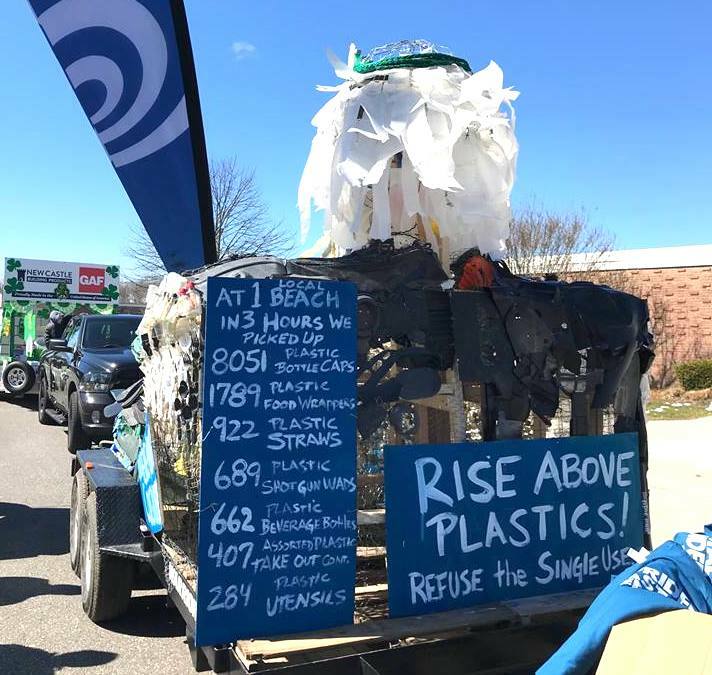 We invited our heroes, our volunteer coastal defenders to march with us in these parades. 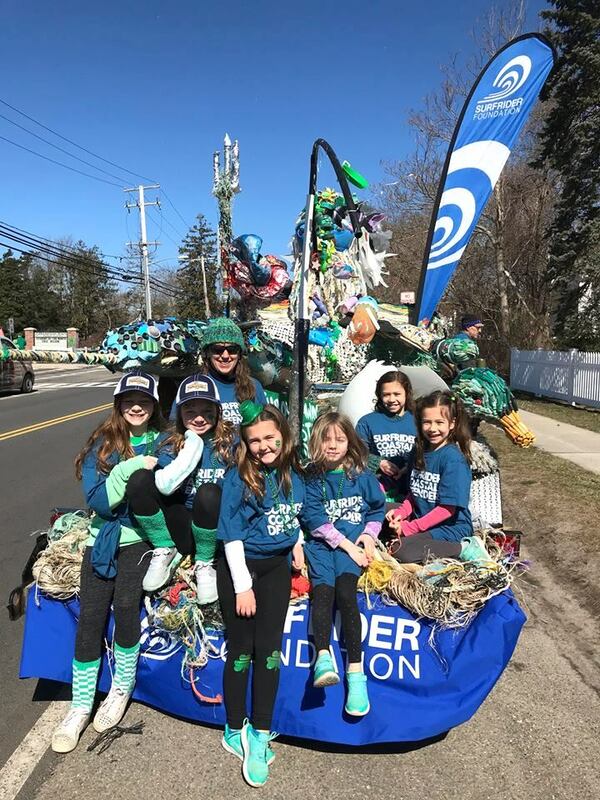 The float was featured in three St. Patricks Day parades: Westhampton Beach, Hampton Bays, and Montauk. The float won 1st place in each parade! 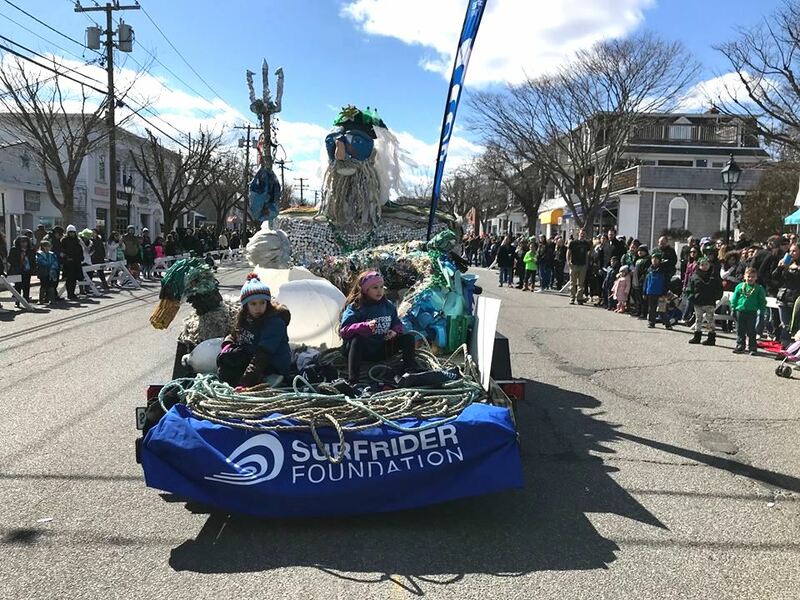 The life of this float extends into the future – some components of the float, like the sea turtle made of straws, will be used as an educational material, brought to schools to educate the next generation about the impacts of plastic pollution on the marine ecosystem.